UK Stampin' Up! 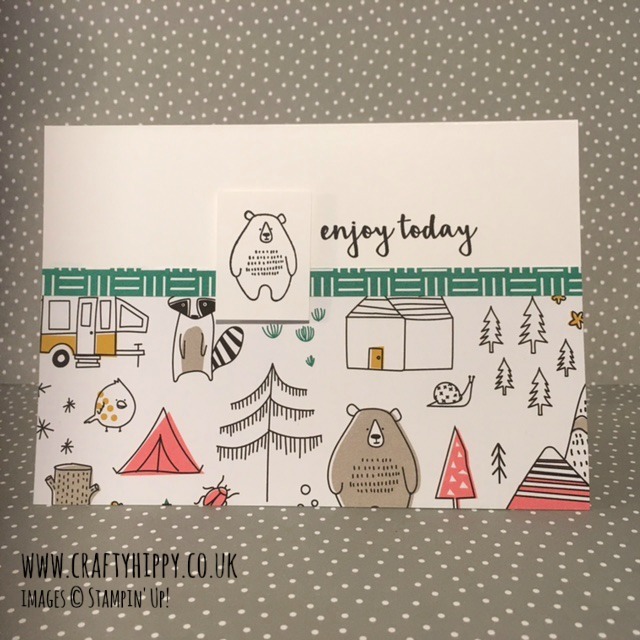 Demonstrator | make beautiful cards | Crafty Hippy: Patterns & Pieces Stamp Set and matching Designer Series Paper - Another new Annual Catalogue sneak peek!! Patterns & Pieces Stamp Set and matching Designer Series Paper - Another new Annual Catalogue sneak peek!! Another sneak peek today! New items from the upcoming Stampin' Up! Annual Catalogue (June 1st 2017). Isn't this paper absolutely GORGEOUS? I love it! This Designer Series Paper (DSP) co-ordinates with our new Patterns & Pieces stamp set, which is also available on the 1st June 2017; you can see the bear and one of the sentiments from it. You will be able to get your hands on the new Annual Catalogue on the 1st; there'll be a link on here so that you can view it online. I made this card for a male friend - this suite is great for both men and kids and for those of us that love quirky (and cute) images.